Dimensions 2 by 6.25 by 9.50 in. Frank Sinatra was the best-known entertainer of the twentieth centuryâinfinitely charismatic, lionized and notorious in equal measure. But despite his mammoth fame, Sinatra the man has remained an enigma.Â Now James Kaplan brings deeper insight than ever before to the complex psyche and turbulent life behind that incomparable voice, from Sinatraâs humble beginning in Hoboken to his fall from grace and Oscar-winning return in From Here to Eternity. Here at last is the biographer who makes the reader feel what it was really like to be Frank Sinatraâas man, as musician, as tortured genius. 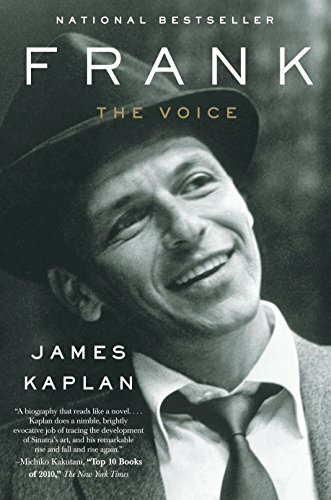 About: Bestselling author James Kaplan redefines Frank Sinatra in a triumphant new biography that includes many rarely seen photographs. About: Frank Sinatra was the best-known entertainer of the twentieth century—infinitely charismatic, lionized and notorious in equal measure.